Showing results for tags 'norfolk constabulary'. Hi all, I'm new to the forum. 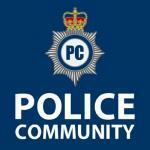 Due to start initial training for PC in Norfolk Constabulary Jan 8th and just after a bit of advice. Firstly, my offer letter says to show up on first day in business attire. Does anyone know when you start wearing uniform? I only own 1 suit and don't want to go out and by a load of shirt if day 2 is in uniform. Also, the letter doesn't say anything else i need to take. I'm planning on the obvious, pen, paper, folder etc. But anything i should bare in mind? Secondly, is there any "essential" kit i should be purchasing now? I already have Altberg P1s, LED Lenser from previous job, and a good cheap watch. I don't want to buy everything now as i'm not 100% what is issued or what i'll need but is there anything that most people consider "you have to have this" like a good folder or anything? I see Resqmes mentioned quite a lot? Thanks in advance. Hi All Has anyone got the new collared wicking tops? I've heard that the collar is a bit uncomfortable... Does anyone else find this? Welcome one and all. Please feel free to start discussing matters relating to Norfolk Constabulary. Do remember of course everything in here is still publicly available and viewable, but you can investigate 'safe areas' where on payment of a fee a separate room can be bought and set up. Whilst still subject to Police Community expectations, rules and regulations, it will be hidden from public view and available only to affirmed Norfolk Constabulary officers and staff.